This week I went back to a digital aproach, editing everything in photoshop then printing the end result. I'm really, really happy with it. I didn't have as many photos to work with this week, and I did all my journalling with the photos rather than use a separate space. This gave me room to add in some filler cards which I think help to bring everything together. It's funny, I actually set out to make a layout with a lot of white space as I'd been inspired by one last week, however it evolved into this along the way. I really love the digital kit I used this week. 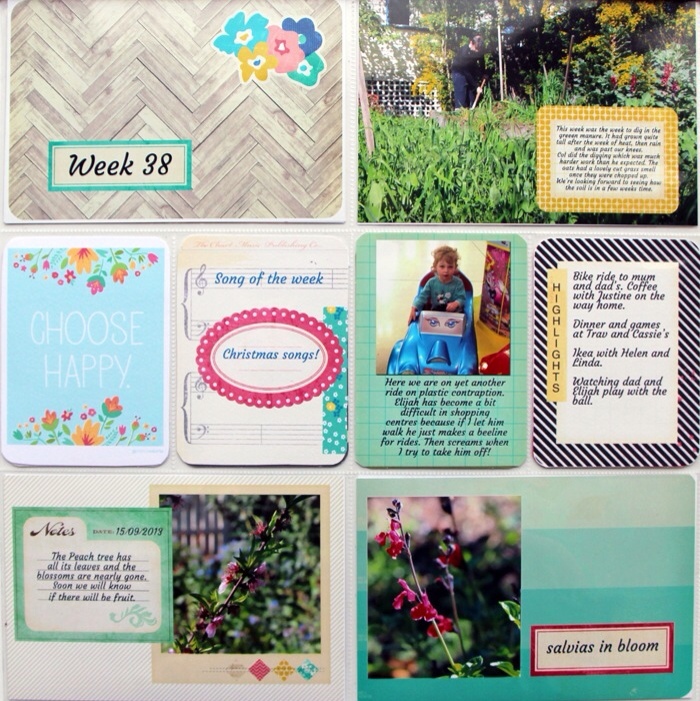 It's Flea Market by Maggie Holmes and I embellished the cards with elements from her digital scrapbooking kit. The two go together beautifully. I resisted digital scrapping for a long time as I wasn't sure what I'd do with the result, so it's pretty amusing for me to see how quickly I've gone from the simplicity of journalling on cards from the physical kits to spending hours essentially digitally scrapping most cards. The finished product reminds me of layouts from my scrapbooking days when I'd spend hours cutting out bits of paper, adding embellishments, stencilling headings. 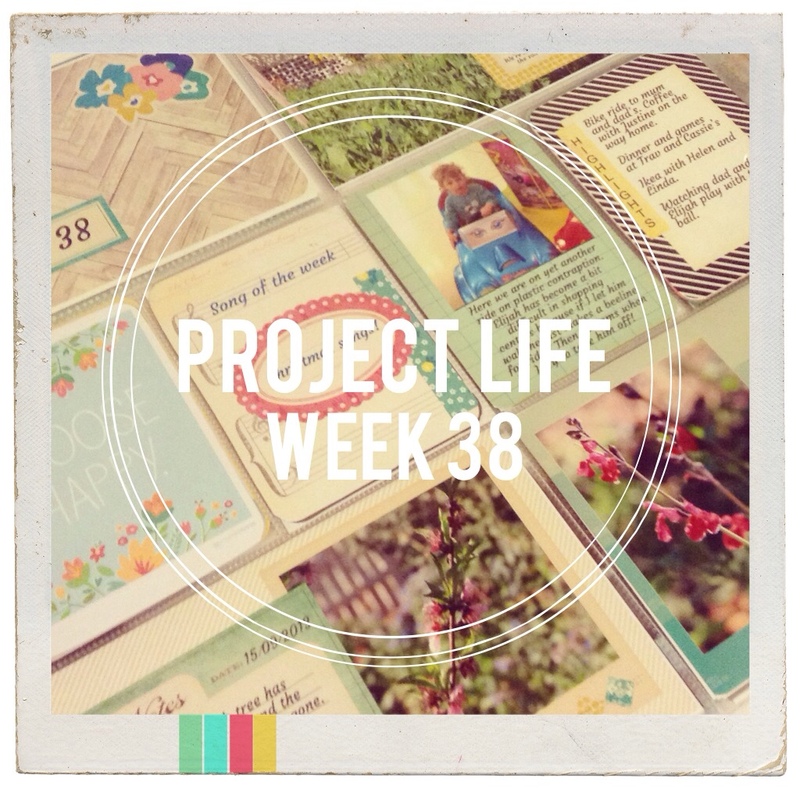 The important thing for me when it comes to my layouts is to record the little things that happen in our week. Digging in a crop of green manure may not be all that interesting to the outsider but to us it makes up part of the bigger picture of our year. I want to look back on my weeks and see the day to day that is our lives, not just the big events. i love it. 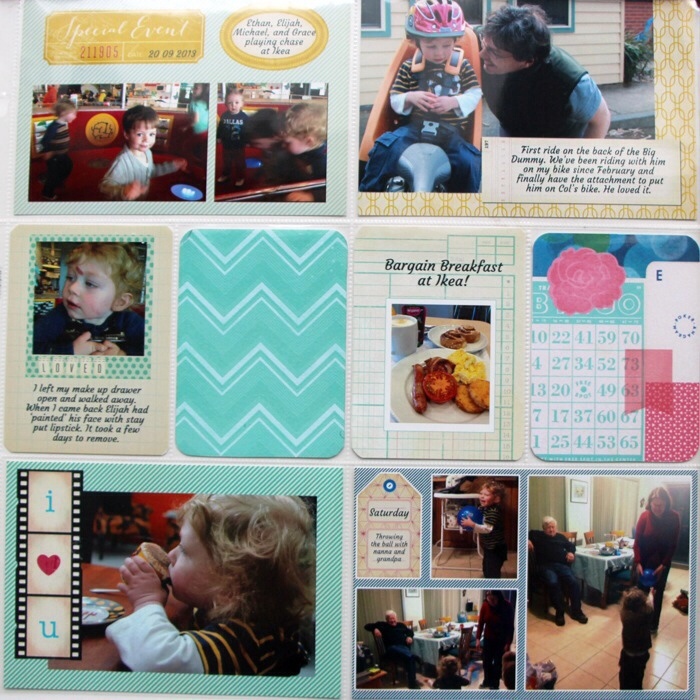 and you’ve put your finger on exactly why scrapbooking is a great thing to do – remembering the little things. i want to hang on to all the funny things arty says and does, and create a lasting picture of what our lives are like now, so that we can all look back on it in future.